Xpozer is a revolutionary way to display your photos: an interchangeable Xpozer Print is stretched taut over a hidden, lightweight tension frame. Your image is printed in high definition on Vivid Satin using 12 inks for maximum color and detail. When hung, your print appears to float off the wall. 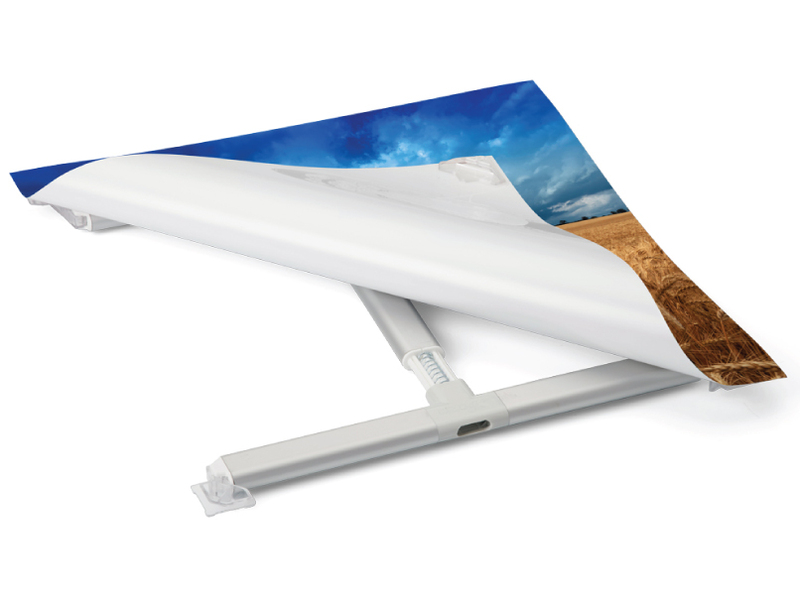 To change up the image, simply purchase an Xchange Print to use with the existing tension frame. Choose from 22 finished sizes: 16x16" to 40x80". Production in-lab turnaround time is 2 business days. What are Xpozer & Xchange Prints? Xpozer consists of a vivid 12-ink Xpozer Print stretched taut over an aluminum tension frame. 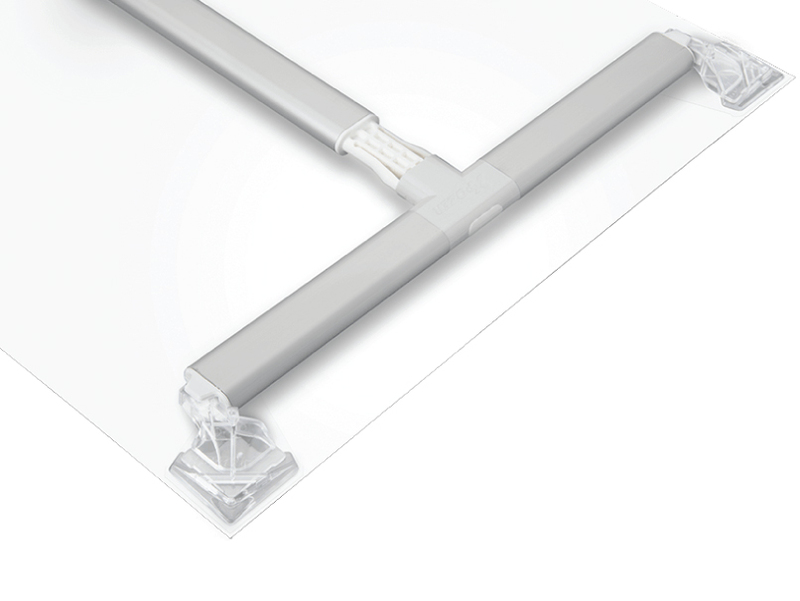 The frame is ultra-lightweight and nonvisible from the front for an easy-to-hang, modern display. Xchange Prints are additional prints that can be ordered at any time, and are designed to be interchanged with other Xpozer Prints. 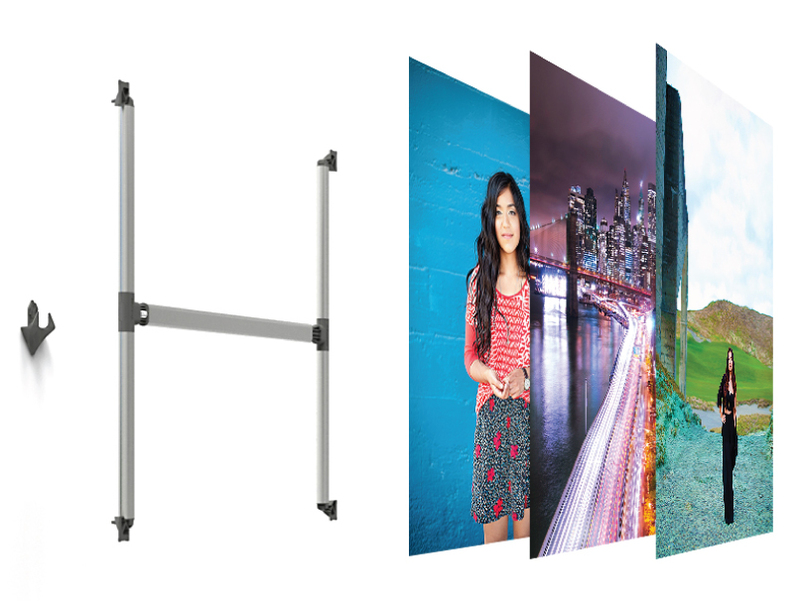 An Xchange Print is an easy, affordable way to change up a display while using the existing tension mounting frame. Xpozer Prints and Xchange Prints are printed on a striking Vivid Satin material using 12 inks for razor sharp detail and brilliant color. Xpozer Prints come with the tension mounting frame. 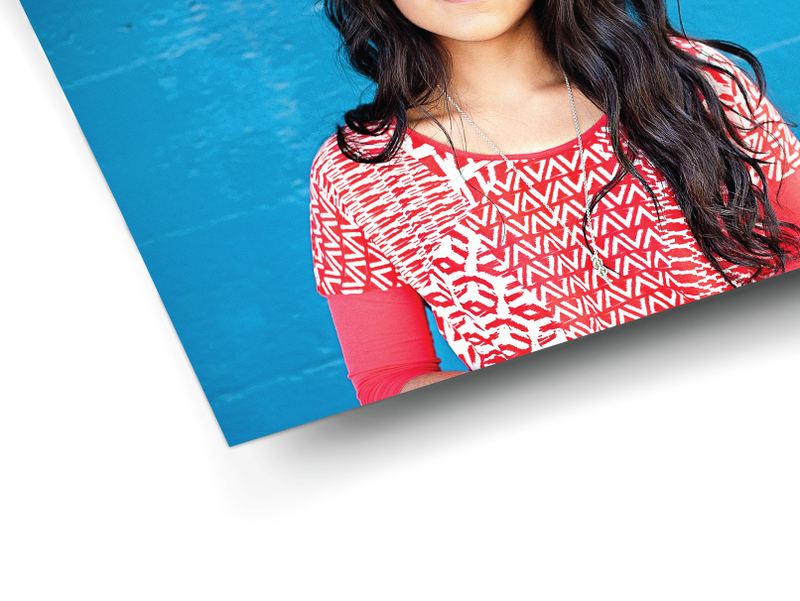 Xchange Prints are purchased separately whenever you're ready to change up your display. 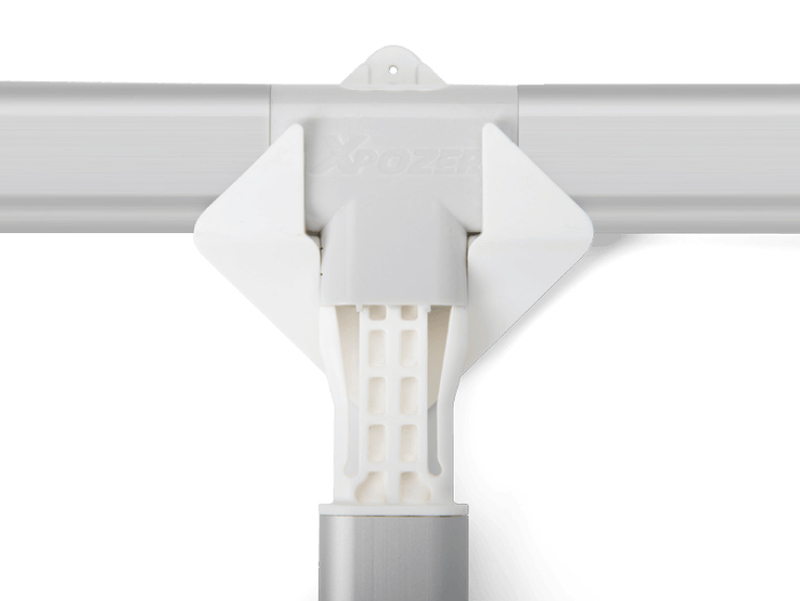 The Xpozer tension mounting frame is patented and made of ultra-lightweight aluminum. When attached to an Xpozer Print, the frame is nonvisible from the front. Your image is kept perfectly taut for a modern display that "floats" away from the wall. 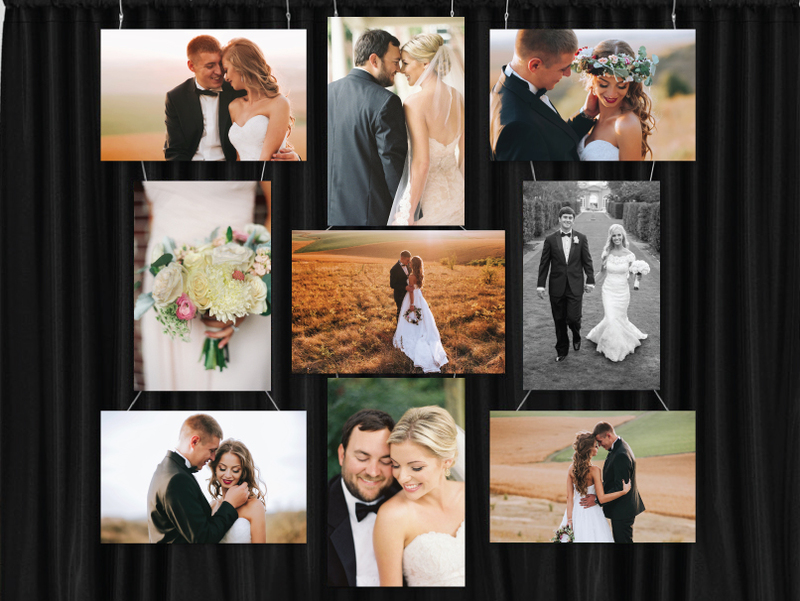 Perfect for the exhibiting photographer, the Xpozer Expo Display Kit creates an incredible gallery display that is both portable and easy to set up. Expo Display Kits contain several 20x30" or 24x36" Xpozer Prints in 7 configurations covering 8, 10, 16, or 20 feet of pipe and drape. Kits include all the hanging hardware needed for a successful display. Get configuration specs on our Pricing tab. 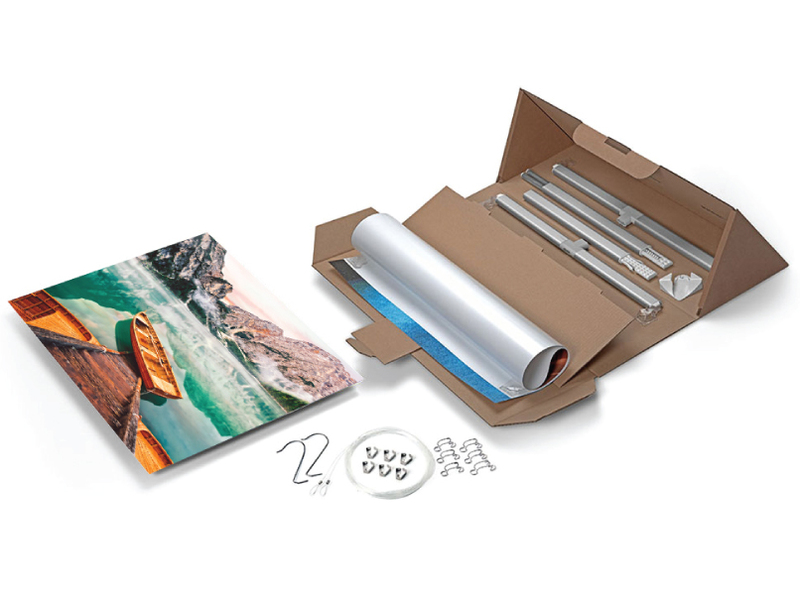 Transport Xpozer Prints from your car to the show in their handy boxes, and set up your display in 20 minutes or less with the easy-to-assemble hanging system.